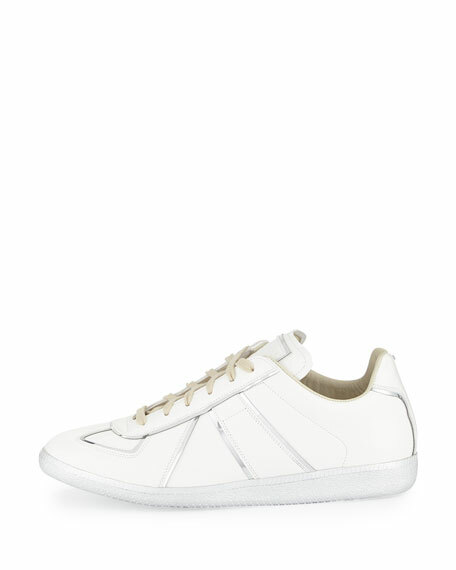 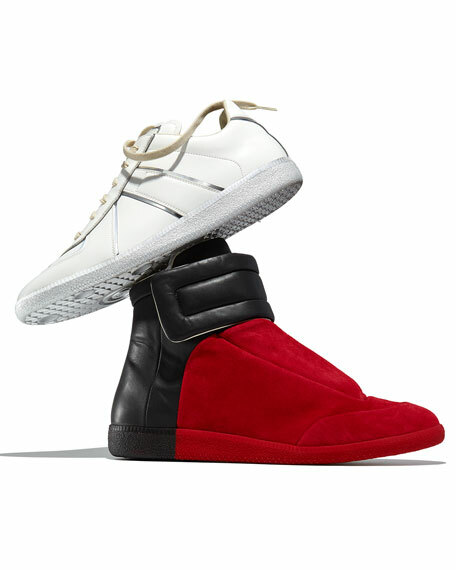 Maison Margiela calf leather sneaker with silvertone metal trim. 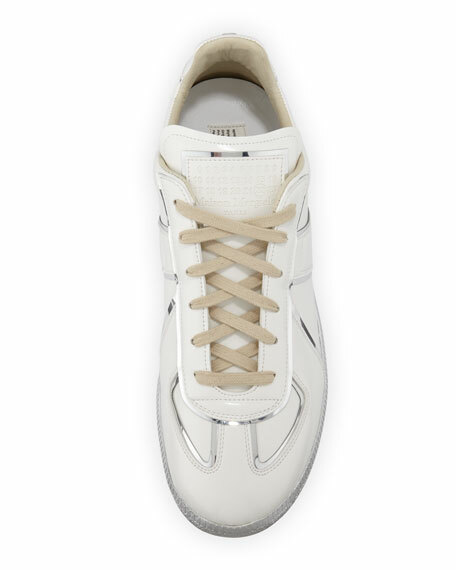 "Replica" is made in Italy. 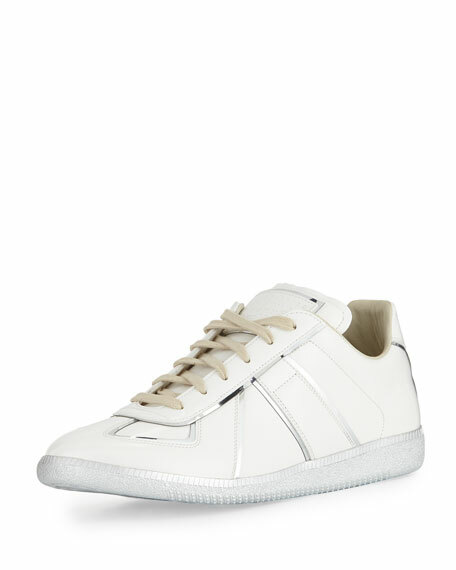 For in-store inquiries, use sku #1801258.